Looking for the desirable Breckenridge Model??? they go quickly. 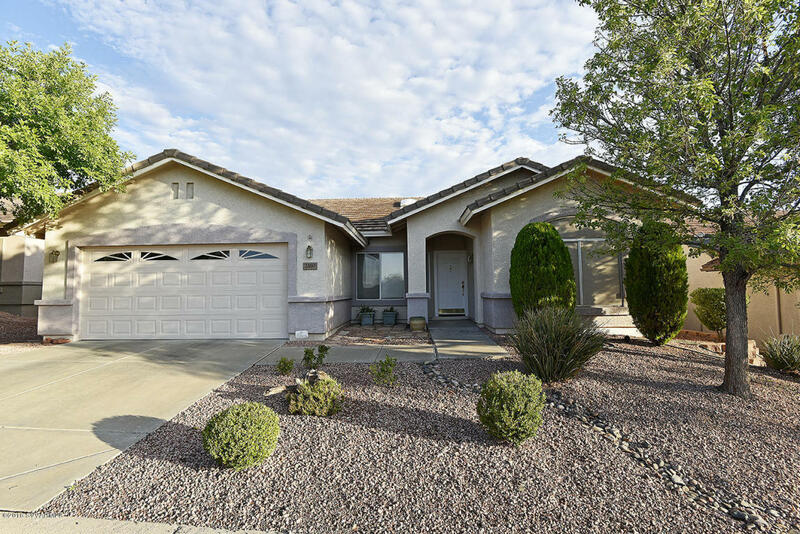 This I a great location near the clubhouse and has Red Rock & Mountain Views & backs to the open space. Tile through out. Gas fireplace, water softener, skylight. All appliances stay. Laundry room made into an office, laundry is in garage. New heating & air conditioner. Newer microwave & dishwasher. House painted outside in 2016. French doors open to patio, extended cov. patio with built in BBQ. Clubhouse with lots of activities, salt water heated pool, spa, bbq, waling & hiking trails,ful exercise room, park, resort living all year round. Great open split floor plan. Put his on your list to see before it is gone.